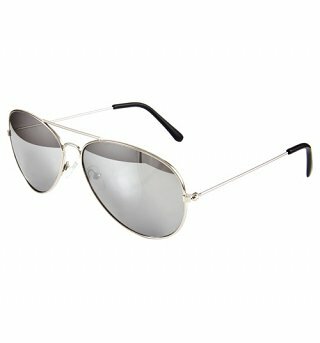 Customer Reviews of "Mirrored Aviator Sunglasses"
First time ordering with TruffleShuffle and i definatley will be back! Great Delivery, Great prices! i would recommend in a second! poor quality sunglasses, and the size was ridiculously small. still awaiting a refund on this item. my first order was lost in the post, and the second one was sent without fuss and arrived 2 days later. brilliant service from TS, but felt i had to mention my disappointment. Absolutely excellent, ran out of stock just before i got the money to buy them =P but clicked on 'Chat to us live!' at the top of the page and found out they would be bk in stock within a week and they were very helpfull.Kudos to them. Came back in stock yesterday, ordered them about 1:30pm choosing just recorded delivery (1-5 working days) and within an hour and a half, recrieved an email saying they had been dispatched, and today they arrived, excellent product and excellent service, RECOMMENDED SELLER!! Will definately be shopping here again. AND there was a free piece of candy with my sunglasses =D.